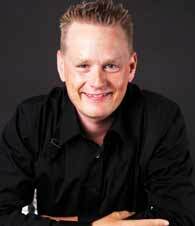 Martin Lindstrom is The New York Times and Wall Street Journal best-selling author of Buyology � Truth and Lies About Why We Buy (Doubleday New York). He is the CEO and Chairman of the LINDSTROM company and the Chairman of BUYOLOGY INC (New York) and BRAND sense Agency (London). As one of the world�s 100 most influential people according to TIME magazine, Lindstrom advises top executives at companies including the McDonald�s Corporation, Nestl�, Procter & Gamble, Microsoft Corporation, The Walt Disney Company, Unilever and GlaxoSmithKline. Martin Lindstrom speaks to a global audience of close to a million people every year. He has been featured in numerous publications, including Wall Street Journal, The New York Times, Washington Post, USAToday, Forbes, Fortune, Newsweek, BusinessWeek, People Magazine, Wallpaper, Harvard Business Review, The Times, The Guardian, New York Post, Chicago Tribune, The Economist and TIME and featured on NBC�s TODAY Show, ABC News, CNN, CBS, Discovery, FOX and the BBC. His previous book, BRAND sense (Simon & Schuster, New York), was acclaimed by the Wall Street Journal as one of the five best marketing books ever published. Buyology was voted business book of the year by USA Today and reached 10 out of the top 10 best-seller lists in the US and worldwide during 2008 and 2009. His five books on branding have been translated into 37 languages and published in more than 80 countries. His latest Buyology Symposium is running in more than 60 countries worldwide. Lindstrom is a frequent contributer to The New York Times, Forbes, Fortune, Parade, Contagious, CNN.com and Advertising Age and a regular contributer to Americas #1 ranking morning TV show; The TODAY Show on NBC with his TV series: �Marketing Mind Games�. How should companies market their products and services in the economic crisis times? Keywords Martin Lindstrom, Research factors for the book Buyology, Neuromarketing research project and its findings, Importance of mirror neurons, How should companies market their products and services in the economic crisis times?